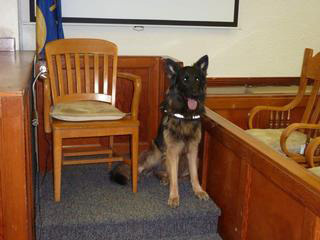 A German Shepherd dog “Pyper” is a County Attorney Comfort Dog in Court, to relax litigation participants. The Mission of the Musselshell County Attorney’s Office is to provide legal representation to the Musselshell County Commissioners, Boards and the State of Montana. The County Attorney’s Office is responsible for the prosecution of all crimes occurring within Musselshell County and is also responsible for defending and prosecuting all claims for or against Musselshell County. 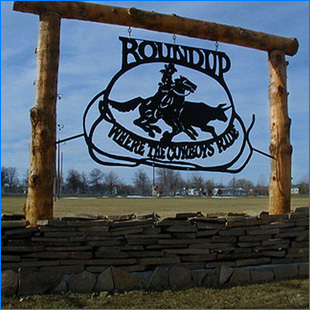 The County Attorney’s position is in Musselshell County; however, he also represents Golden Valley as well. The County Attorney cannot have a private practice; cannot represent private individuals; or give legal advice to private citizens. 7-4-2711 County attorney to be legal adviser of county and other subdivisions. The county attorney is the legal adviser of the board of county commissioners. The county attorney shall attend their meetings when required and shall attend and oppose all claims and accounts against the county that are unjust or illegal. The county attorney shall defend all suits brought against the county. The Victim Witness Advocate is trained to support victims of crime. She offers victims information, emotional support, and help finding resources and filling out paperwork. Our Advocate goes to court with the victims, along with her German Shepherd, Pyper, to provide emotional support and understanding of the trial process. Pyper is trained to work with young and old alike to help make them more comfortable in court and offers understanding during emotional and stressful times.